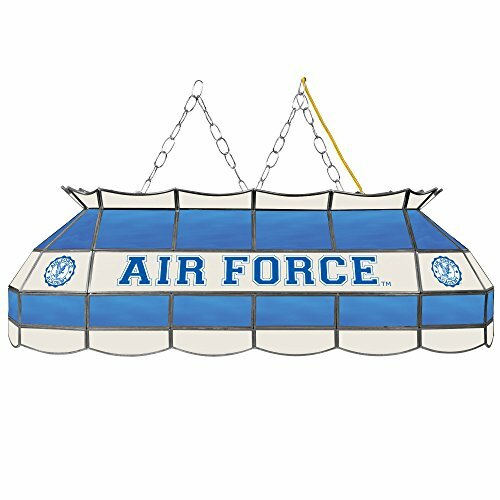 NCAA Air Force Academy Tiffany Gameroom Lamp, 40"
The officially NCAA licensed, Air Force 40-inch stained glass Tiffany lamp is the perfect gift for the NCAA fan in your life. Use for your lighting your billiard table, kitchen table or even your dining room table. Great for gifts and recreation decor. NCAA Texas A&M University Tiffany Gameroom Lamp, 40"